As we inch closer to September, we inch closer to week 1 of college football. The new season dawns on the exciting new era of college football betting in America. Without any preseason games to get a look at the teams, it can be tricky to figure out who's going to do what. It's part of the joy of college football. However, there's always a few bets you can confidently find. In this guide, we look at the week 1 games involving Group of 5 teams, teams not in the ACC, SEC, Big Ten, Big 12, and Pac 12. With non-conference the name of the game in the first few weeks, it's a great chance for some Group of 5 teams to establish themselves against the big boys. Here are a few week 1 bets to keep an eye on, a few bets to stay away from, and one game to stay away from with a 10 foot pole. Why not start with a good ol’ in-state rivalry? Colorado State’s offense was a beautiful thing to watch in 2017. Unfortunately, they won’t be as good this year, but they’ll still have enough firepower keep themselves in the game. The defense wasn’t very good last year, but is now being run by a guy who cranked out a pair of top-20 defenses with Tennessee in 2014 and 2015. There’s little reason that the Rams shouldn’t improve on defense. Plus, they’ll have the advantage of having one game under their belts after a week 0 game vs Hawaii (granted there’s no injuries). Colorado, on the other hand, has almost nothing proven on offense returning. RB: gone. Top three WRs: gone. Offensive coordinator: gone. There will be growing pains, almost guaranteed. The Colorado defense as well is in a weird spot. After losing defensive coordinator Jim Leavitt after 2016, the defense regressed significantly, and there’s not much sign of improvement. If CSU doesn’t win straight up, it’ll be close. William Hill is offering Colorado State at +6.5 for 20/21. 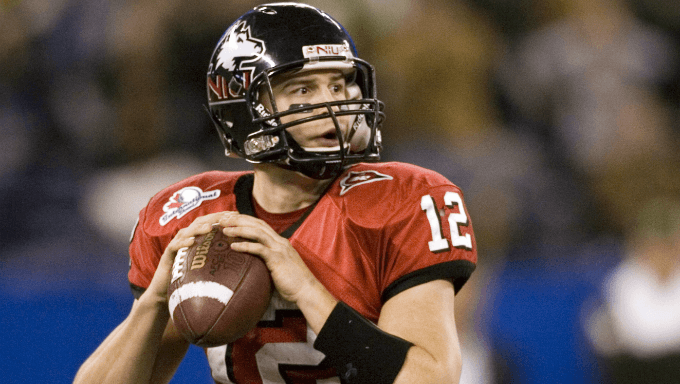 The Northern Illinois Huskies could out-Big Ten Iowa. NIU’s run-heavy offense is less by design and more by necessity as their QBs keep getting injured. It wasn’t the most effective offense you’ve ever seen, but it did the job, and the entire line is back. Where NIU thrives is their defense, which was an extremely overlooked unit in 2017. Their hyper aggressive style allowed some of the most 20+ yards plays in the nation through the air, but they still were top 10 in the nation in stopping the pass. That’s important because Iowa isn’t the most prolific passing team of all time. Yes, Nate Stanley is back, and he’s a good passer with a good success rate. But Kirk Ferentz is still the head coach, so Iowa is going to want to pound the rock. Either way, the Hawkeye offensive line is fresh, and NIU is good at causing havoc. Defensively, they were brilliant at stopping the pass. Unfortunately, their two best passing defenders are gone. Sustainable, but any new players aren’t going to have a whole lot of experience. The 11.5 line for Iowa is a bit high for where this game should be. 888sport has NIU 9/10 to cover, 7/2 to win. Also that 48.5 over/under total? Hammer the under for 9/10. No, no, Bowling Green isn’t going to upset the Oregon Ducks. But can they beat a 30-point spread? Definitely. After a down 2017, it’s time for Bowling Green to surge in 2018 again per their usual pattern. A strong offense in 2017 was paired with a horrid defense. Good news, the defense can only get better and new defensive coordinator Carl Pelini at least knows what he’s doing. The attack shouldn’t regress all that much either based on who's returning. Oregon should be quite good and win this game with relative ease. But they are breaking in a new head coach. Mario Cristobal is a fine offensive coordinator, and he’ll have plenty of help on defense with Jim Leavitt coaching the defense, but game #1 is always a tough one, and Royce Freeman is gone. Oregon should win this game, but maybe not quite by the margin expected. 888sport is offering Bowling Green to cover the spread at 17/20. Lane Kiffin’s offense at FAU year 1 was phenomenal. Oklahoma is insanely talented but the defense is inconsistent. Given the talent gulf between the two schools, Oklahoma could run right away by 40. Lane Kiffin’s offense could create a 56-56 shootout because they had one of the best offenses in the country last season. Either way you slice it, there will be points on both sides of the ball. The spread sits at 20.5, probably best avoid the spread because of how many directions this game could go.. Total points sits at 68, and this game definitely has 10-touchdown potential. Take the over at William Hill for 10/11 odds. App State replaces their offensive and defensive coordinators. Penn State replaces superstar RB Saquan Barkley. Shouldn’t even out on paper, but App State was a good team last year and could have given Penn State a pretty good fight. As it stands, a 24-25 point difference sounds about right for the two teams for first game growing pains. So does the 56.5 over/under. Don’t consider it entirely off limits if you really know these two teams, but probably best to keep your distance. Both these teams are bad, which makes it really hard to predict how they’re going to do. Illinois barely beat Ball State last year and had an ok game vs WKU. They then lost 10 straight games by big margins. Kent is even worse, but they’ve shown just enough offensive capabilities in 2017 to cause the Illini issues. There’s a lot of room for growth for both teams, but it could also go horribly. The best you can say for betting is that Kent State outright offers decent odds, but Illinois *should* have enough quality to win. Stay away with a 10 foot poll.